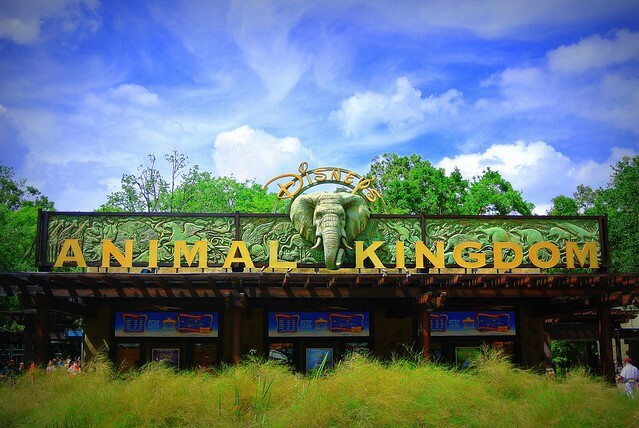 Orlando is rightly called the real capital of entertainment and attractions. Numerous Disney’s theme parks are visited not only by residents of Florida and other US states, but also by millions of tourists from all over the globe. You can admire there modern and colorful shows for children and parents, so local theme parks will be a great place to have fun in Orlando. In order to get to them from the airport or hotel, use a rental car, as this is the most convenient way to travel with the whole family. If necessary, here you can find a huge selection of vehicles according to your taste and budget. Magic Kingdom with the famous Disney castle is the major and central park of Disney World, which should be definitely visited. 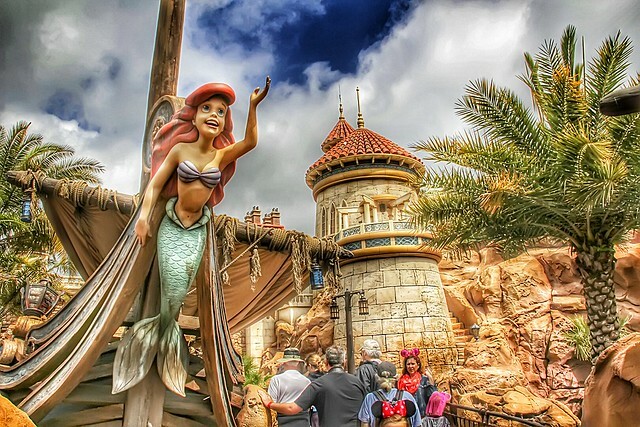 Magic Kingdom is suitable for people of all ages, especially when you first visit. The local attractions are designed mainly for younger children. There are several large slides, but you almost won’t find extreme rides there. However, the park, which opened back in 1971, is ideal for traveling with kids, even newborns. By the way, here’s a special children’s hair salon where you can make the first haircut in the life of your baby. In memory of this event you will be given a certificate, a curl for children and a cap with ears. Inside the Cinderella Castle there’s a restaurant where you can have lunch or dinner, but tables need to be booked in advance. In any restaurant of the park you can get water for free in a plastic cup if you ask for it. For a bottle of water you will have to pay. Be sure to visit Aloha Isle to taste the delicious ice cream in the pineapple juice called Pineapple Float. During the day several different parades are held in the park, as well as shows on the stage in front of the castle and, of course, fireworks. More Disney characters participate in the day parade, and the evening parade attracts with a bright light show with numerous installations in the dark. 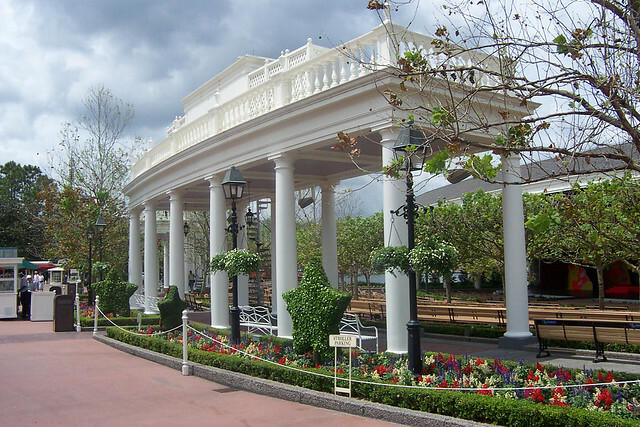 The Epcot theme park, which opened in 1982, became the second Disney’s Park in Orlando. According to Walt Disney, Epcot was supposed to be a utopian city of the future. This park it’s recommended more for adults and older children. For kids, there will be only 2-3 rides in the whole park, although now the park is particularly popular, because of the appearance of Princess Anna and Elsa – the main characters of ‘Frozen’. Most of the park is decorated in the form of pavilions of different countries, which are located around the lake. In one day, you can visit 12 countries at once, taste delicious national dishes and try their traditional drinks. For example, start with France to try amazing desserts, local wine, and listen to French music. In Canada’s pavilion, you can watch a film about the country and eat cronuts – a mixture of croissants and donuts, with more airy dough and without a hole in the middle. In England, you can listen to musicians who perform Beatles songs, meet Winnie the Pooh and his friends, chat with Mary Poppins, and drink English tea with biscuits. In Morocco, you’ll appear in the eastern streets and meet Aladdin. In the pavilion of Japan, the most delicious food of Japanese cuisine and a million souvenir shops are at your disposal. In the Italian pavilion you will walk through the beautiful streets of Pisa, Rome, Venice and Florence. The German pavilion features Biergarten, which is the Bavarian-style restaurant serving sausage with beer. In the pavilion of Norway a restaurant with 5 different princesses is located. In China, you can watch a show about the country, as well as take a walk around the shops. In Mexico, there are several cafes with national Mexican food and incendiary music. 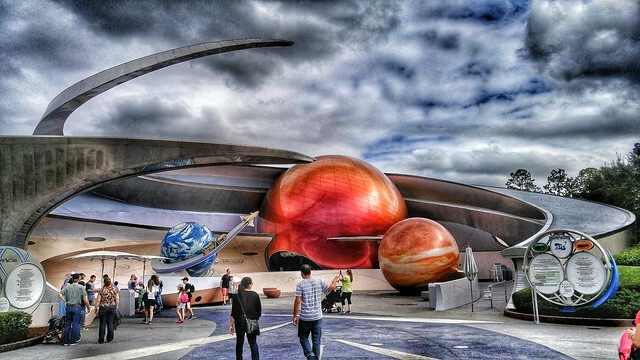 The third of Disney’s parks, Hollywood Studios, is primarily suitable for the fans of Star Wars. Parades, rides, a meeting with the characters, and even the evening salute are dedicated specifically to this film. The number of rides themselves is small – the park mainly specialized in various shows and musicals. 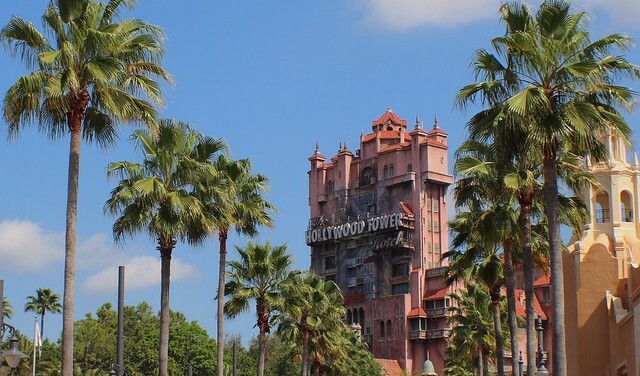 However, older children and adults can try “Tower of Terror”, which allows you to feel yourself in a falling elevator. For kids at Mickey Mouse Clubhouse, puppet shows with Mickey Mouse, Princess Sophia, and Jake and pirates are performed several times a day. This is the smallest park of Orlando’s Disney World. Of course, its popularity hasn’t yet reached those heights to which it deserves. At the same time, there’s a cool safari in the park, where you go on real jeeps and look at animals. Also, you have to see the gorgeous show called “The Lion King” and try Expedition Everest roller coaster. Younger children can have fun in a playground, where they will search for dinosaur bones in the sand.